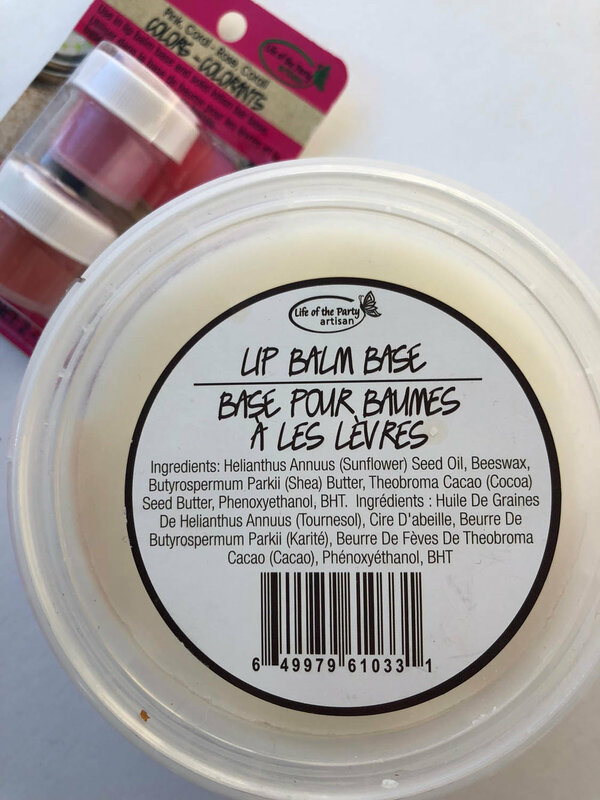 When I was at Creativation this past winter (the craft and hobby annual trade show), I discovered a booth demonstrating making lip balms with a few simple products. 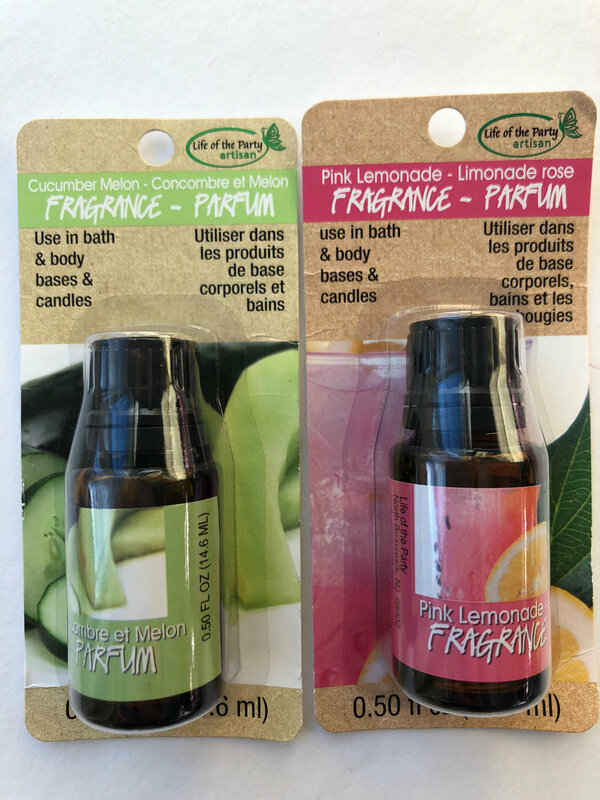 The business, called Life of the Party, also sells products for making soaps and bath bombs (find links to my tutorials for those at the end of this post!). Since I'm always thinking of small easy projects to give as gifts, I was excited to learn that they sell all the supplies at Michaels for making these flavored lip balms. The container of lip balm base makes A LOT! You'll be able to make extras to sneak them into birthday gifts, stocking stuffers or gift baskets! 1. Scoop out some of the lip balm base into a microwave-safe container with a spoon. Be sure not to heat up too much at a time (I used about four rounded tablespoons) since using too much at one time will result in uneven heating. 2. Heat for 30 seconds in microwave. Carefully remove from microwave and stir. Continue to heat for 10 second intervals, stirring in between, until melted. 3. Working quickly, add a small amount of fragrance (about 6-10 drops). 4. Add colorant if desired. Again, a small amount will do. I used about 1/2 teaspoon for my mixture. 5. Mix well and scoop into containers. The mixture will dry in about ten minutes! It's as easy as can be and you can experiment with your choices of types and amounts of fragrances and colors. You'll have plenty of supplies to experiment with so enjoy! Making easy soaps and bath bombs is a similar process so be sure and take a look at my Simple Soap Making post HERE or Sweet-Smelling Hand-Made Bath Bomb tutorial HERE.